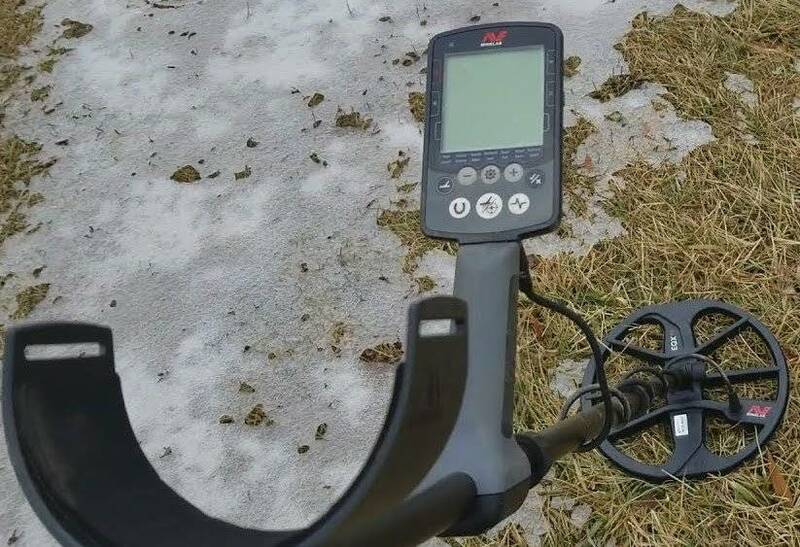 If you are looking for a high-performance, waterproof metal detector, you do not need to look any further than the Minelab Equinox 800. This treasure finder comes with multi-frequency technology, up to eight custom search profiles and the goal to make you reevaluate all-purpose detecting. Read on to find out how to improve your metal hunting with one of the best detectors on the market! 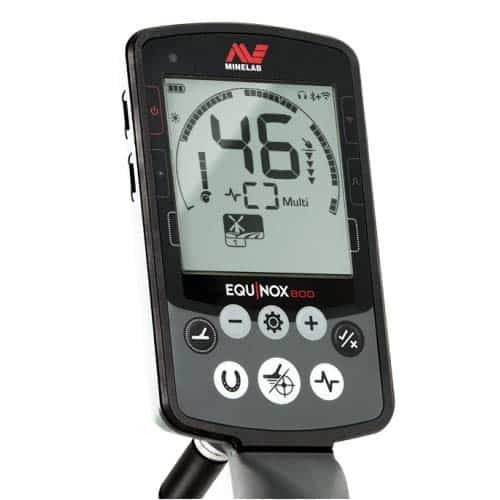 Minelab Equinox 800 is a reasonable improvement of previous models from Minelab, and specifically of Equinox 600. It is a lightweight device that weighs little over 1.3 kg and has an ergonomic design that favors long hunts without feeling heavy in your hands. It comes with an 11″ round coil that attracts most of the weight and a sturdy armrest made of high-quality plastic. This metal detector has a user-friendly menu with easy, intuitive settings that help you enjoy effective metal hunts straight out of the box. It features 4 search modes – field, park, beach, and gold – and each of them has two sub-modes, so you get to enjoy 8 different detecting programs. Each mode comes with a specific tuning setting and tone pitch. The beach mode also features an underwater program that lets you scout for lost jewelry and coins at a maximum depth of 3 meters. 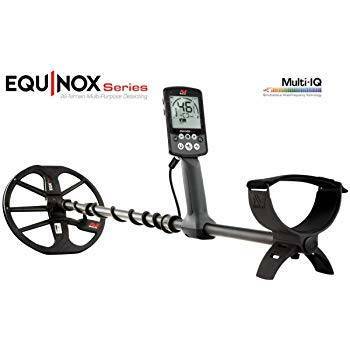 Experienced detectorists will appreciate the long battery life of Minelab Equinox 800, which can stretch to up to 12 hours on a single charge. This device can function on high, simultaneous frequency 24 / 40 kHz that you can change at a push of the button without experiencing any interruptions in your search. One of the best features of Equinox 800 that is also a major improvement of the 600 series is the presence of a wireless adapter and a set of headphones that work with Bluetooth technology. These niftily designed over-the-ear headphones have a low latency signal and allow you to connect them to your smartphone to make and take calls while hunting for metals. Another special feature of the Minelab Equinox 800 is its ability to bypass false signals. While looking for lost metal pieces, you will rarely experience interferences from power lines or electronic devices in your vicinity. While this metal detector is affordable and highly-convenient for seasoned metal hunters, it might require some learning time from beginner detectorists. Nevertheless, if you are passionate about treasure hunting and eager to start your new search, the Minelab Equinox 800 should top your wishlist of metal detecting devices. The Minelab Equinox 800 is a reliable metal detector that you can take on long trips to the beach, park or artifact-laden fields. It has a special mode solely for finding gold, and it should not disappoint you especially when you consider that it works on high, simultaneous frequency. Besides being lightweight and waterproof, this detector also comes at an affordable price when you consider its high-performance ability. If this is your first metal detecting tool, and you don’t mind spending some time learning how to use it, then this is one of the best metal detectors you can find.